If Don’t Think of an Elephant! has been checked off your list, the next stop for persuasive language is George Lakoff’s The Political Mind. You can’t understand 21st Century American politics with an 18th Century brain. That’s the thesis of George Lakoff, the cognitive linguist whose mission is to get progressives talking persuasively on every issue. The Political Mind is the most theoretical book of Lakoff’s I’ve read. 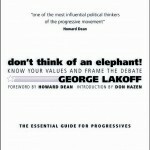 His 2004 book, Don’t Think of an Elephant!, has become the playbook for progressive communicators. The Political Mind is a different beast. It not only looks at language–it delves deep into brain science and cognitive psychology. It’s a harder book to get through, but it offers greater insight into how to create persuasive language from scratch. More than that–people can move back on forth on the same issue. What someone thinks today is no guarantee of what they will think tomorrow. It’s an important concept because it underpins a particular point Lakoff is eager to make: there is no such thing as the “center”. When a progressive is appealing to the “center”, they are actually adopting a conservative position, or the language a conservative uses. Lakoff recommends abandoning thinking of things in a left-to-right scale because that thinking leads to thinking about moving to the right to win votes. Instead, progressives should argue everything using empathy and care and appeal to people who are “biconceptual”. There is a moral here for progressives: the more they can activate empathy in the public, the more support will be available to them and the worse conservatives will do. Correspondingly. the more conservatives can generate fear in the public, the more support they will generate, and the more that will inhibit support for progressives. If this is true then progressives should be talking more about their moral worldview–about empathy, responsibility, and hope–rather than accepting fear-based frames to think and talk within. Instead of moving to the right and activating the conservative worldview,…activate the the progressive worldview. The main criticism I have of the book is that Lakoff dismisses “enlightenment thinking” out of hand. He forcefully makes the case the the enlightenment thinkers got it all wrong by claiming all thought was rational and reasoned. This ignores the work of people like David Hume who is well-known for saying, “reason is, and ought only to be the slave of the passions.” It’s puzzling that he weaves so much of this critique through the book, and elevates it to subtitle. 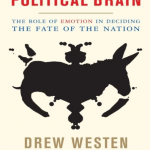 The Political Mind or Drew Westen’s The Political Brain is the logical next step for those who have read Don’t Think of an Elephant! and want to learn more about framing, language, and metaphor. Others may want to start with Don’t Think of an Elephant! The title does the book a disservice–it should not confined to the shelves of political staffers and candidates. It’s relevant to all issue-focused communicators, and it might just help you shift the debate. 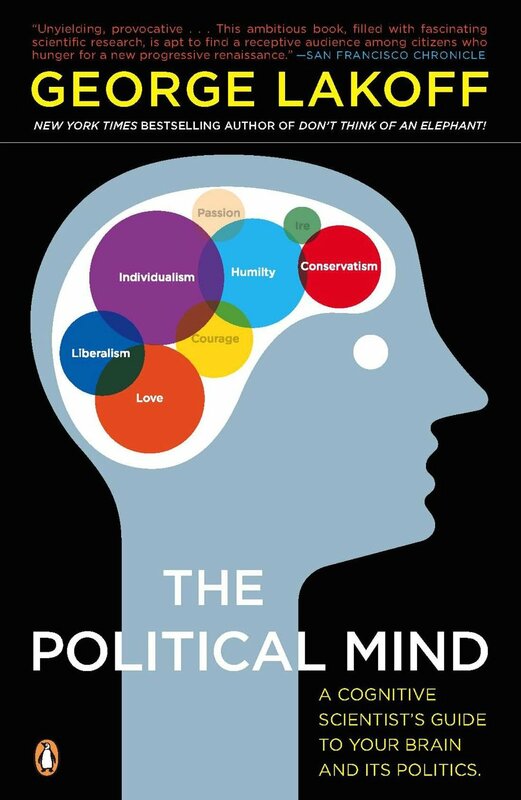 The Political Mind is available on Amazon.